Hi there, thanks for the code but the Download link doesn't work. Thanks Jailani. I have a question, does that script require PHP ZIP extension to be activated? Thanks for your code. It works perfect. 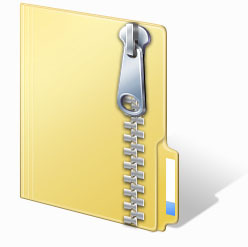 Just a thought, I want to zipped the folder but not all files. How to do it? I want to exclude some files as they are hard coded files.
! C:\Documents and Settings\welcome\My Documents\Downloads\CreateZipFileWithPHP1.zip: Unexpected end of archive. The download link I got by email does not work...please help !